Novartis has been granted FDA approval for the first new drug for acute myeloid leukaemia (AML) in more than 25 years - and the first-ever targeted therapy for that type of blood cancer. 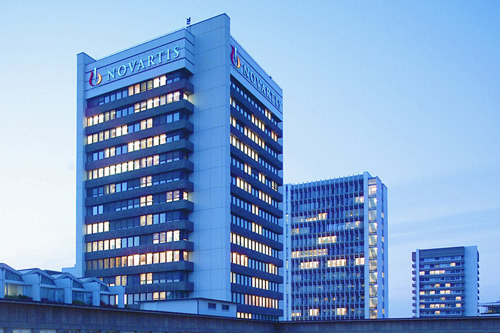 The US agency cleared Novartis' Rydapt (midostaurin) for use alongside chemotherapy in newly-diagnosed AML patients who carry the FLT3 mutation, also giving the okay for a FLT3 companion diagnostic developed by Invivoscribe Technologies. AML is the most common form of acute leukaemia in adults and has a low survival rate, with just one in four patients still alive five years after diagnosis and around 10,000 people in the US dying each year from the disease. FLT3 mutations are seen in around a third of all patients and are associated with a much poorer prognosis. In trials the drug has been shown to improve overall survival by 23% when added to standard chemotherapy in AML patients whose cancer cells exhibit FLT-3 mutations, earning it breakthrough status from the FDA as well as a priority review and fast track designations. Novartis also picked up a second indication for its kinase inhibitor, getting the go-ahead for treating adults with advanced systemic mastocytosis (SM), a group of ultra-rare, life-threatening blood diseases characterised by low blood counts, weight loss and organ damage that includes aggressive systemic mastocytosis, systemic mastocytosis with associated haematological neoplasm (SM-AHN), and mast cell leukaemia. Rydapt is the first and only drug to be approved for ASM. Analysts at Credit Suisse have previously predicted sales of around $260m for the drug in 2019, making it a small product for Novartis but a large one in the AML sector because it is largely generic and is worth only around $900m a year. Novartis' drug may not have the FLT3 inhibitor market to itself for long however as competition to Rydapt is heading down the pipeline. Daiichi Sankyo's quizartinib - acquired along with Ambit Biosciences' for $410m in 2014 - and Arog Pharma's crenolanib are both in phase III testing in FLT3-positive AML. Meanwhile Astellas' gilteritinib - billed as a second-generation FLT3 inhibitor that avoids a resistance mechanism seen with earlier drugs - is also in late-stage testing.